By 2020, this invention is set to become one of the most widely used performance gadgets across the world. While reading, I thought it was fascinating how electrodes will be able to monitor the movement in our legs and eventually improve our balance. Personally, unless I have difficulty walking, I don’t see myself using this new technology since it is estimated to cost a few hundred dollars. As technology is slowly progressing every day, there is much speculation that this new technology can be used specifically for people with disabilities. It is unknown what The University of Tokyo, Japan will unveil in the next coming years, but all we know is that it is unlike any “electrical stimulation” that humans have ever experienced before. Named under the 10 best breakthrough technologies of 2017, the classic pair of earbuds newly invented by Google last year are revolutionizing the tech industry due to its unique twist, hence its name Pixel Buds. To “geeks,” once you place these on, it feels like you are stuck inside the “cult sci-fi classic The Hitchhiker’s Guide to the Galaxy. 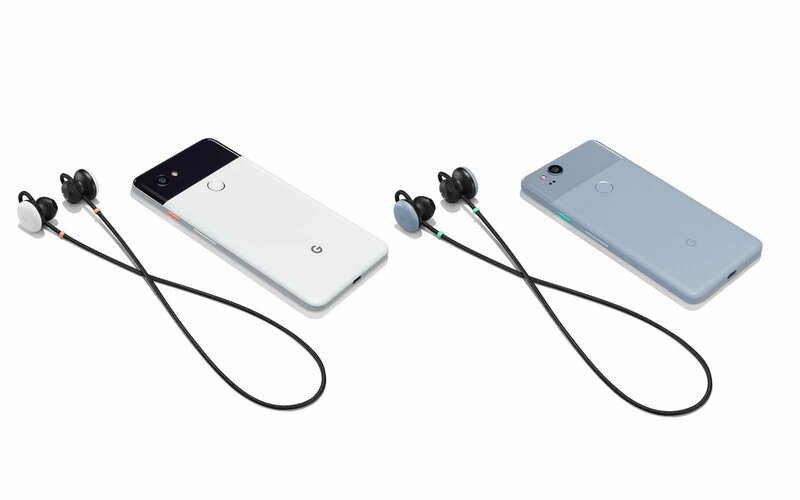 These earbuds cost only $159 that work with its Pixel smartphones and Google Translate app to “produce practically real-time translation.” Some critics argue about the price, but Google argues “you cannot get near-real-time translation now that works for a large number of languages and is easy to use.” This is important because “in an increasingly global world, language is a still a barrier to communication.” I think this is an incredible and resourceful idea in helping the world receive fast translation access to all things audio. You might be asking how does “near-real-time translation” work and why don’t we have it yet? Simply, “one person wears the earbuds, while the other holds that phone that projects English as the default and the app translates the talking and plays it aloud on the phone.” This allows the response to be translated quickly and played through earbuds. As a consumer of Google products who knows two languages and is learning a third, I think it is beneficial to purchase these earbuds especially since many critics argue that “google translate can interfere with background noises and it is hard to figure out when one person has stopped speaking and it’s time to start translating.” I relate to this problem, as I’m someone who uses Google Translate dialy. There are certainly pros and cons to every upcoming tech that the world is being presented with. It is a plus that these “Pixel Buds” get around the issues of wearer taps and connection between your phone and earbuds. These earbuds work well with this issue that many consumers might deal with, with other earbuds brands. In addition, many are intrigued by the inticite design, known as “subpar design.” yet, some disagree, and believe they look silly and may not fit well in the ears. Overall, as the connection between people across the world becomes more prevalent, the “promise of mutually intelligible communication between languages in close to real time” is certainly achievable through these earbuds. To read more check out this article. Self driving vehicles have always been seen as a dream in the future, as is finally seen in one of the most popular transportation vehicles in the nation, trucks. This new technology leads many truck drivers concerned about not only their jobs now but in the coming future. They are worried that technology will take over their positions and they could lose their jobs. With self driving cars, there have been countless advertisements ranging from Google to Uber about the latest craze that will soon become popular in the future. Yet, many experts don’t know if this will be happening quite soon. First of all, they are extremely expensive, many people will lose their jobs, and customers aren’t positive that this new technology is safe. “I could hear the man who taught me to drive telling me what he always aid was rule number one: ‘Don’t hurt anybody,”’ (Mugriyev, Texan truck driver). People such as Roman Mugriyev, a Texan resident fears that safety is the biggest concern. 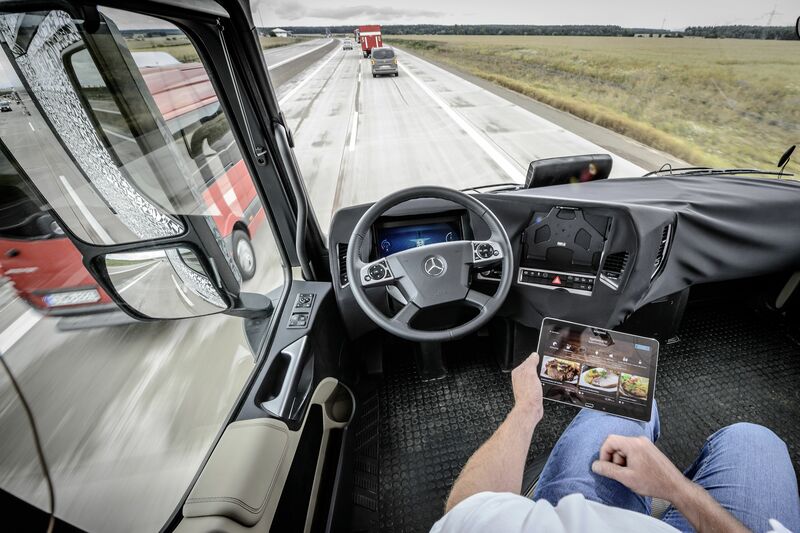 Economically, self-driving trucks might be seen more often on roads in the coming years than with cars due to the long stretches of highway that truck drivers have to go through. In addition, truck drivers have to play close attention to their movements by “cutting down on wind drag and saving on fuel” while the self-driving cars will have a way that stopping for gas is not an option. Yet, with these benefits there comes obstacles that these trucks have to face. First, experts say that it will be practically impossible to honor the same skills that current truck drivers have with their years of experience and training in piloting. Humans unlike machines have unique judgement when driving and technology might not be able to match that awareness of a professional trucker. Apple’s new Face ID system uses a sensing strategy that dates back ‘Structured light’ and artificial intelligence. We all are familiar with touchID used on all newly released iphone models, yet since Tuesday, with Apple’s new release of three new iPhone models, there is a new way for people to unlock their phones in a more secure and easier way. This new system is groundbreaking and extremely innovative in the technology world. “The system relies not only on neutral networks-a form of machine learning-but also on a slew of sensors that occupy the real estate near the selfie camera on the front of the handset.” Along with this new feature on their phones which costs a whooping $1000 to purchase, this feature is only present on this new model. This system works with a complex facial-identification process that is used through a True Depth camera system. It takes an infrared image and uses the IR image and the dot pattern of neutral networks to create “a mathematical model of your face”, stated by Phil Schiller, a senior vice president at Apple. In addition, structured light is a key technique of projecting something onto a three dimensional object to help computer vision systems detect depth. What was fascinating to me was that this technology dates back to decades and is called the structured light method. This system most importantly “taps into the power of neural networks to crunch the data it gathers during the face identification process.” This is a powerful tool that relates to artificial intelligence. It is a program that computer scientists teach by feeding data. Apple is not the only brand that is starting to use face identification. Samsung’s S8 phones and their new Note8 devices already have a camera that use the face ID feature, yet it isn’t as secure as the fingerprint reader. Personally, I would rather use the fingerprint sensor on my phone as I do now, since I believe it is more secure and is better at detecting than I predict the FaceID system will work. Yet, with Apple constantly improving their technology, some day these new model phones will become affordable and used by everyone. Author miag19bronxvilleschoolorgPosted on November 20, 2017 Categories Mia GradelskiTags iPhone X, Mia GradelskiLeave a comment on Apple’s new Face ID system uses a sensing strategy that dates back ‘Structured light’ and artificial intelligence. As we live in the digital age of iPads and new forms of security in our homes, an average person ends up spending up to 5 hours on a device a day. This long interaction with devices is called “digital mesh.” We might think that we are getting smarter with our “smart” devices, but are they just making us dumber and less efficient?